Dear reader, minister of the church or person seeking where to apply themselves to the will of God, I invite you through this little book to reflect on those who have a chaplain. Where did the word “chaplain”? Why does he need, what his task and responsibility, to whom he is accountable? Perhaps it something like a pastor or absolutely no? Maybe he has more similarities with the doctor? Any questions, but there are answers. Here they are in front of you. Think about them in prayer. I think it will help you expand your ministry of churches in your area, it will provide a true spiritual work of your churches, and you thus to serve God by helping those in need. 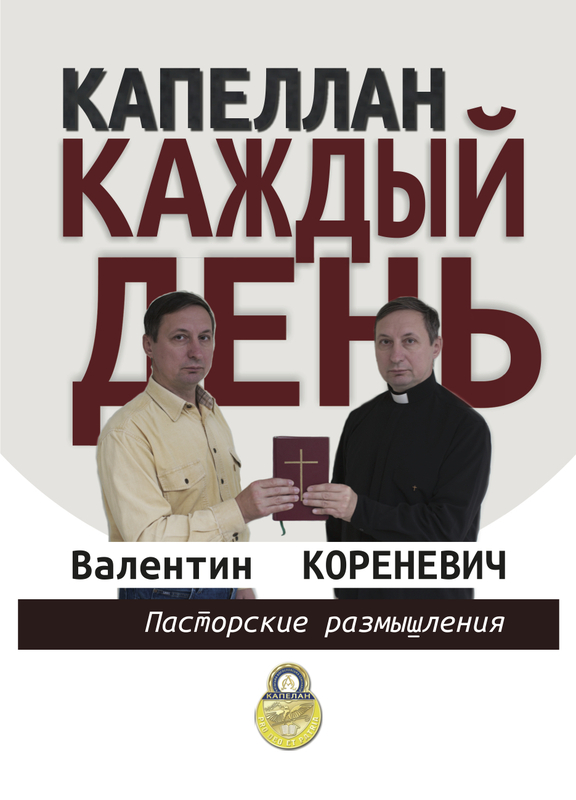 Pastor of the church “The Way of Truth” of Kiev, Director-Capellan’s pastoral program of the Kiev Theological Seminary, retired colonel of the Armed Forces of Ukraine Valentin Korenevich.